Join us for Spring Fling on April 13, 2019! 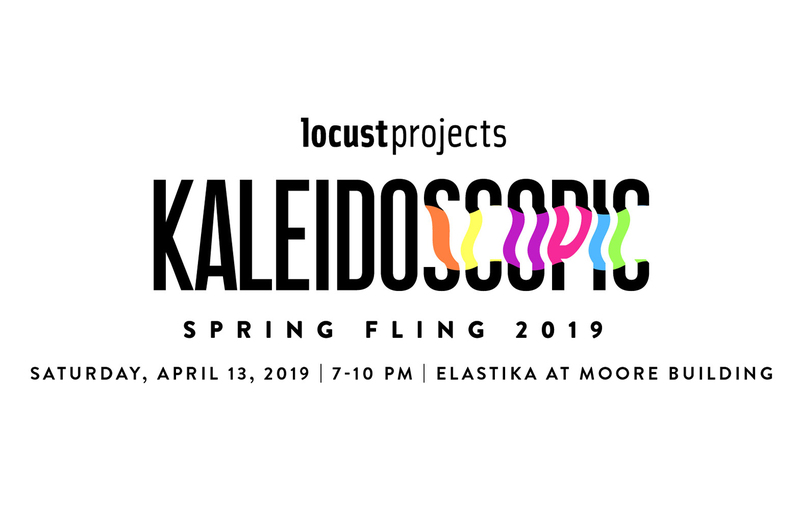 The countdown is on to Locust Projects Annual Spring Fling Fundraiser on April 13th from 7pm – 10pm at the historic Moore Building in the Miami Design District. Embracing a palette of bold, bright and over the top color, over 700 guests adorned in vibrant hues and patterns will mingle with Miami’s most influential art patrons and community and business leaders for a night of fun and fundraising as they eat, drink and experience artistic interventions, performances and immersive environments for a great cause, supporting opportunities for artists. The Kaleidoscopic theme celebrates vivid imagination and creative experimentation and is inspired by the captivating video animation by Locust Projects alumni, Jen Stark that was originally featured in a Miley Cyrus museum video on the MTV Music video awards. Bringing together creativity, culture, fashion and food is a hallmark of Spring Fling which this year will feature an expanded luxury auction including coveted products and singular experiences to raise funds for Locust Projects—Miami’s foremost incubator of art and ideas providing artists with the time, space and resources to create ambitious new work and build successful creative careers. All proceeds from Spring Fling support programming at locust projects, a 501c3 not-for-profit organization. A portion of the donation may be tax deductible.